Occasionally you may find the need to alter your construction methods away from your standards. In this example we’ll explore how to change from a standard ¼ inch deep dado to a 1/8 inch deep dado when a horizontal partition hits a vertical partition. 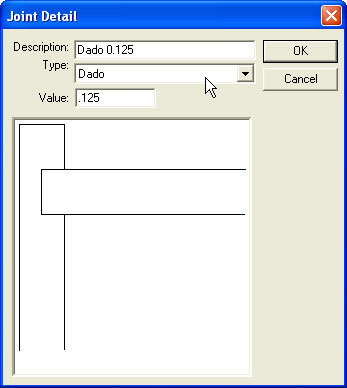 2) Give the joint a Description, choose the Type as Dado and enter a Value of .125. 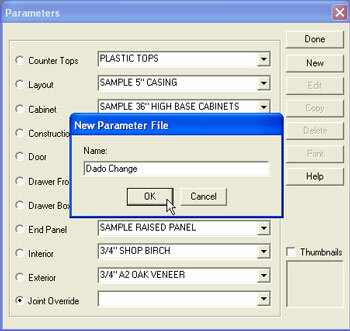 Click OK.
3) Next go to File Setup Parameters – Joint Override, and click New. Provide a Name for the new Parameter file and click OK.
4) Next click on, Body Part – Piece = Horizontal Partitions and Attach to: Vertical Partitions. 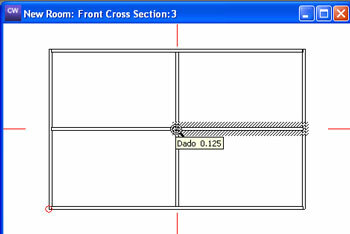 Choose the Joint Type from the list, Dado – Dado 0.125. 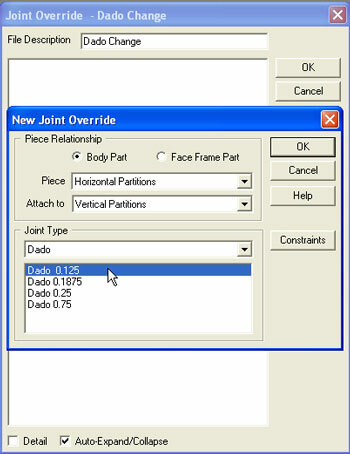 5) You can also click on the Constraints button and set some conditions on when you want this Joint Override to occur. Click OK to save it. 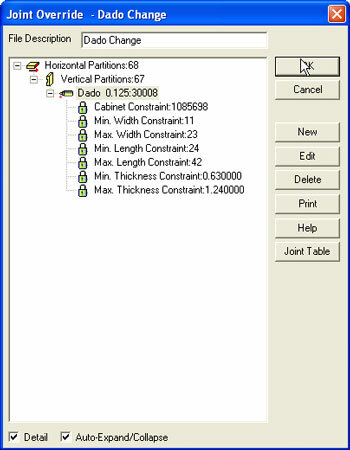 Below shows some size ranges and cabinet type constraints that limit this Joint Override. 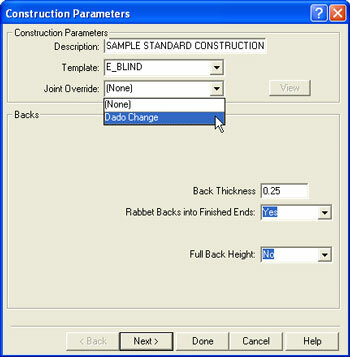 6) Finally, go to File Setup Parameters and choose a Construction file to link this Joint Override to. 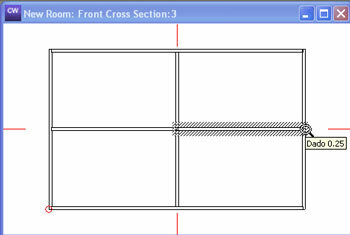 7) Check out the results of the Joint Override by hovering over the joint in Multi Cross Section. Of course the size of the part has changed to accommodate the Joint Override.